John Greenblatt has many years of experience working in several Human Resources and Recruitment Functions across several industries. He started his career in staffing working for an agency that supported the retail/restaurant vertical. In this role John recruited candidates for management level, back office and operations positions for large retailers and restaurants. After time spent within this vertical John moved into an agency in which he supported a fortune 1000 financial institution in recruitment for their financial advisory practice. The next progression in his career took him to the other side of staffing working as a Corporate Recruiter and HR Generalist for an international IT company that is ranked in the top 30 on the Global Fortune 500 list. 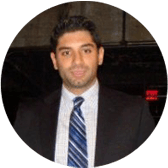 Educationally, John has his undergraduate degree in Sociology from the University at Albany and an MBA in Industrial/Organizational Psychology from Baruch’s Zicklin School of Business in NYC. He also has his PHR (Professional in Human Resources Exam) designation. With his background in resume selection, interviewing and hiring manager relationship building, John has a clear understanding of what it takes to get noticed when writing a resume and understands the interview process from a hiring manager’s perspective.